I've finished a new blog series on our exploration of the Cascadia Subduction Zone, so I've compiled all the posts in chronological order so you can get the story the correct sequence. Thanks for all the nice comments, responses, and corrections! Click on the gray titles for the post. On the Road in the Pacific Northwest: The introduction and overview of the new blog series. 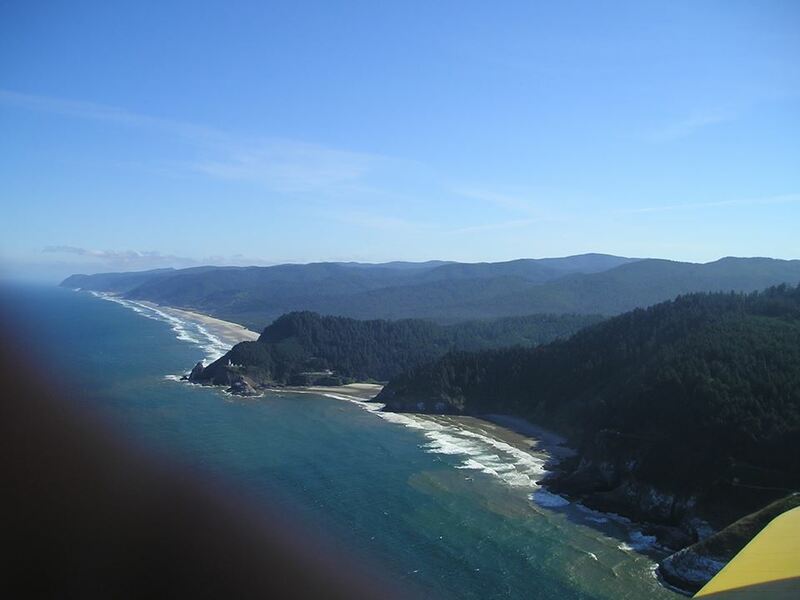 Following the Cascadia Subduction Zone on Highway 101: This post provided the geological background for understanding the hazards of living in the lands influenced by the Cascadia Subduction Zone. 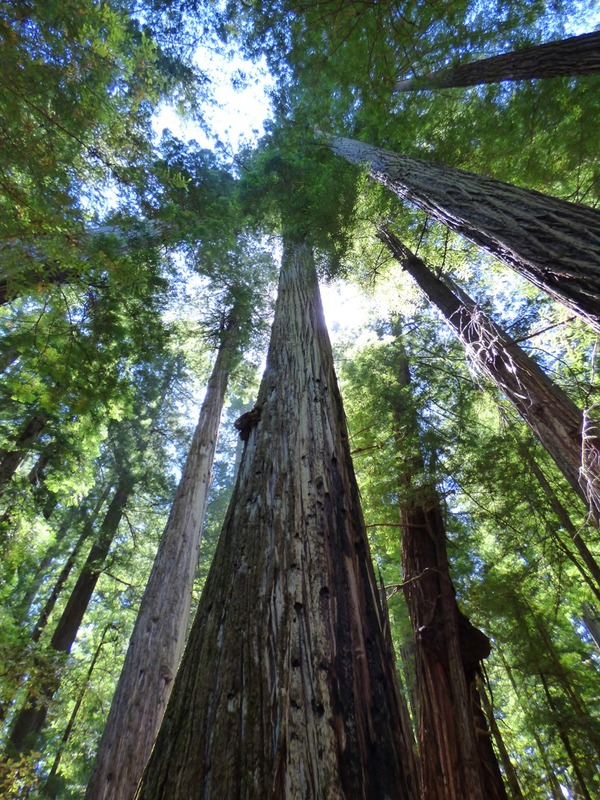 In This Land of the Sasquatch There are Ancient Giants: The first leg of our journey took us through the range of the California Redwoods and the land of black bears that look suspiciously like walking ape-people. 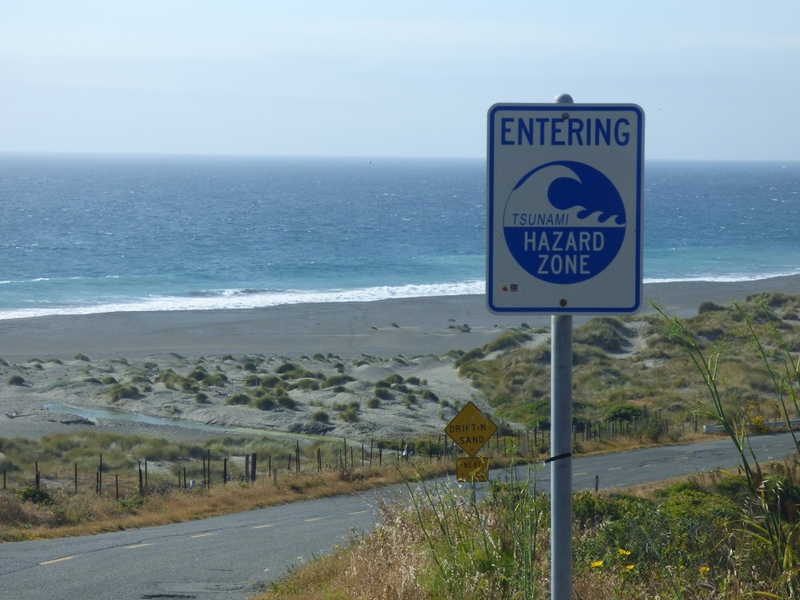 The End is Coming (of the Cascadia Subduction Zone): The end of Cascadia is a slow process, but the zone is disappearing slowly, being replaced by the San Andreas fault. It's also a look at one of the loneliest beaches in California. A Geologist Walks Onto a Bar in Cascadia: Exploring the unique baymouth bars along the Humboldt county coast. Northern California's Tsunami Central: Crescent City has a tragic history of tsunamis, especially the one in 1964 that took a dozen lives and destroyed the marina and downtown areas. 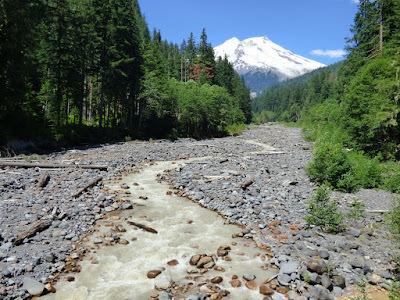 This "Dismal Forest Prison" and other problems exploring the Northwest: The Pacific Northwest was particularly difficult to explore and map, at least if you weren't part of the indigenous culture. Here are some accounts of the discovery of Humboldt Bay by land. 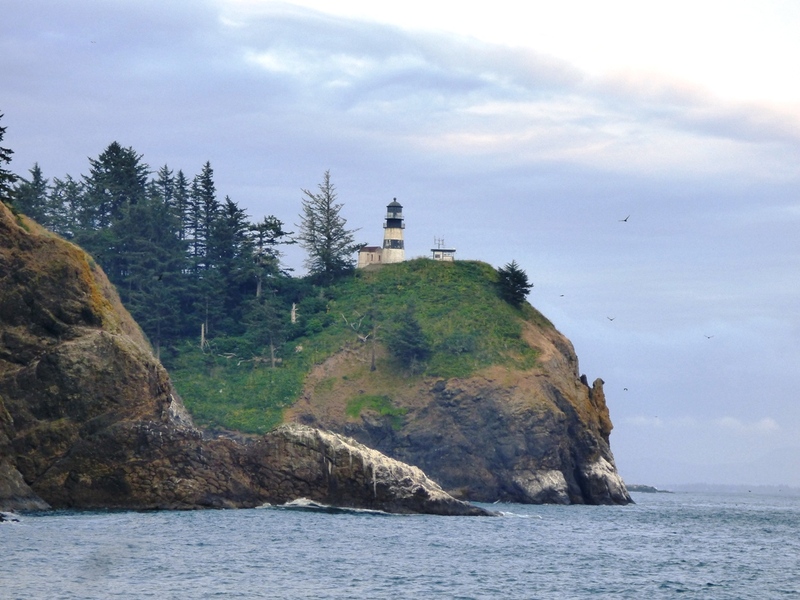 Into the Realm of the Devil (and Sea Lions): There are a lot of things named for the devil on the Oregon coast for some reason. And some incredible sea caves occupied by sea lions. Putting on a Happy Face at Dismal Nitch and Cape Disappointment: We reach the mouth of the Columbia River, where Lewis and Clark reached their goal. It's undergone a great many changes over the years. Into the Rainforest, Seeing Something Strange...Rain: We explore the Hoh Rainforest in Olympic National Park for the first time, and encounter something strange, at least this year: rain. There was also a fire burning in the rainforest. That's not normal. The Diverse Landscapes of Olympic National Park: Olympic is one of the most diverse of our national parks, with alpine glaciers, rainforests, and coastlines. It's spectacular. The Salish Sea and the Strait of Juan de Fuca: Glaciers and tectonics combined to form a seaway east of Vancouver Island and the Olympic Peninsula. It's a unique ecosystem quite distinct from the Pacific Ocean just a few miles away. Stone Rings, Glaciers, and "Dinosaurs" on the Coast of the Salish Sea: Desecrated burial mounds, avian dinosaurs, and glacial landscapes. Victoria on Vancouver is both a beautiful city and a fascinating place to explore. Exploring North America's Southernmost Fjord: We take the ferry to the mainland, making landfall inside of the southernmost glacial fjord in North America, Howe Sound in British Columbia (defined here as on the mainland, but connected to the ocean; opinions differ!). Landing Place of the Thunderbird and the Grimy One, the Volcanoes of British Columbia: Black Tusk and Mt. Garibaldi two of the northernmost volcanoes in the Cascade Range. I missed them last year in the rain, but saw them this time. Controversial Stone People, Fire and Ice, and an Olympic Legacy: We made it to Whistler and the home of the 2010 Winter Olympics. The stone people were controversial, but the scenery was not. It was spectacular. Seeing Volcanoes from the Inside Out at Siám' Smánit (Stawamus Chief): Glaciers and granite! Stawamus Chief is a dramatic granitic dome rising high above the end of Howe Sound. It was once the magma chamber of a volcano. Our Tour of the Greatest National Park I Never Once Set Foot In: North Cascades National Park is a true primeval wilderness. No roads penetrate the park boundaries. But what incredible scenery! The Geology that Explains Why North Cascades is a Park Divided: The Skagit River may be the most altered water course in the Pacific Northwest, but it provides 20% of Seattle's electricity. It splits a national park in two. What's East of North (Cascades), A Brief Explore: North Cascades doesn't have all the scenery; the lands to the east are rather spectacular too, and offer some great geology. Playing Hide and Seek with a Sleeping Monster: Mt. Baker is not the most active volcano in the Cascade Range, but it is capable of great mayhem. It even looked for awhile like it might blow back in 1975. Danger Follows Us Home (As it does all of us): A Mt. Shasta drive-by (photo) shooting, and a wrap-up of the series. Danger is always with us no matter where we are. It's not to be feared, but respected and prepared for.